Phuket gets second Airport says Airports of Thailand president Nitinai Sirismatthakarn. There’s also a second airport for Chiang Mai . With construction slated for completion by 2025 the new Phuket airport will be sited at Ban Khok Kruad in Phang Nga Province. Approximately 25 KM from the current Phuket International Airport. So, plans are approved in principle and work should start on these 120 Billion Baht projects during 2019. Now I guess the question is can Phuket take any more Tourists? We are sure there is lots more to follow on this story please feel free to bookmark the page and we will update you as news breaks. In the meantime, sit back and relax, there’s lots of entertainment at 91.5 and 102.5 FM. 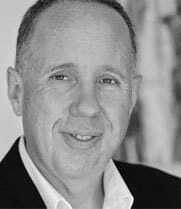 C9 Hotelworks Founder and Managing Director Bill Barnett is a noted columnist, author and leading authority on travel trend, hotels and property has recently released this article. 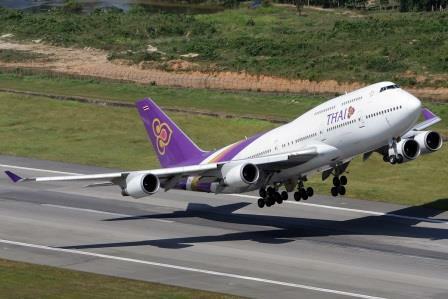 An announcement by the Airports of Thailand (AoT) about the approval of a plan for a new second Greater Phuket airport has created quite a stir in the tourism sector in one of Southeast Asia’s leading resort markets. 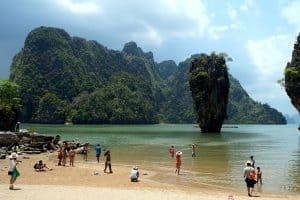 Located just over the Sarasin Bridge in Phang Nga’s Khok Kloi area, work is reportedly set to start in 2019 and complete by 2025. Stay tuned to Phuket FM Radio as this story unfolds and more details are announced.